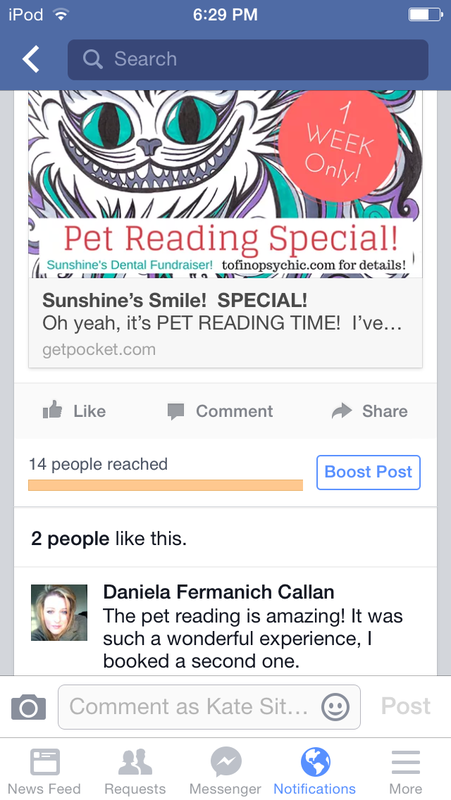 Thank you for your awesome Facebook testimonial, Daniella! This entry was posted in animal communication and tagged animal communication, animal talk, pet psychic. Bookmark the permalink. Wow! I actually missed that you communicate with animals!. I always have to. They have more going on than people realize. I am way to timid to do what you do. I think its awesome you do readings! I never even thought of that. I admire you doing this blog. Where I’m from if I was open that I’m psychic they would say I had a demon! Guess I missed it cause I wasn’t looking good enough.😊 Now I think your even more awesome!👍 Anyway, Blessings. Aww, thanks Ann. You could start a blog, this one stared out anonymous. I did pet reading by word of mouth for ten years begore i started *talking* about it! The animal talk parlayed into people spirits for me. Its the same skill, just different application.